Wide Range of Brake & Clutch Parts:- We are leading brake parts supplier and we have housed variety of of brake and clutch parts. Our entire line of products are made using premium quality products having wide range of usage in automobile industry. We are reputed clutch parts supplier. The Vespa Clutch Assembly is extremely popular in the industry. The Vespa Clutch Assembly is of high quality since it is made using fine grade raw materials. The Vespa Clutch Assembly offers high performance and is extremely reliable. It has a long service life. Backed by the team of professionals we are presenting an attractive range of Clutch Centre. These products are developed by our team of experts with the optimum grade raw material sourced from our trustworthy vendors. Products are high in demand due to their superior designs and patterns. We are a leader in exporting best brand Self Align Clutch. 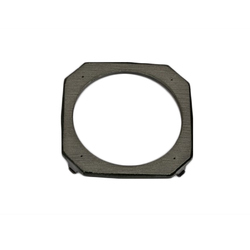 Our company has achieved widespread recognition in providing Clutch Part. Justifying our reputation in this highly competitive industry, we have brought a wide assortment of Tower Crane Clutch. Our company is capable to provide Clutch Parts in various structures. Our provided products are enormously employed in the market owing to their longer working life. We offer quality Clutch Body Bush engineered using latest machinery procured from trustworthy vendors. 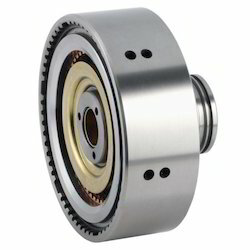 Clutch Bush, offered by us, complies with high industrial standards. We procureClutch Bush from trusted vendors in the market. Clutch Bush that we provide is designed with accuracy, and hence is suitable for various industrial applications. Manufacturing all type of high quality Clutch Covers/ Clutch Plates for all type of cars and commercial vehicles, Big capacity, Cheap price. Passenger Cars, Multi Utility Vehicles, Sports Utility Vehicles, Light Commercial Vehicles, Medium Commercial Vehicles and Heavy Commercial Vehicles. We are engaged in manufacturing and supplying a wide range of Tata Clutch Part. The CNC machined clutches parts are manufactured using sophisticated technology and machinery to ensure better accuracy, adaptability and dependability standard. These CNC jaws & spares are made up using raw material that is used to clutch fragile parts of CNC machine. We ensure to check its quality, performance and efficiency before offering to the clients. Backed by our affluent market practice, we are engaged in providing a wide series of CNC Precision Clutch Component. N. K. Micro (p) Ltd.